In September 2007, I was strolling down the Esplanadi street in the center of Helsinki with friends from Taipei. A city park “home” created by Fokus Fabrik design caught our eyes. 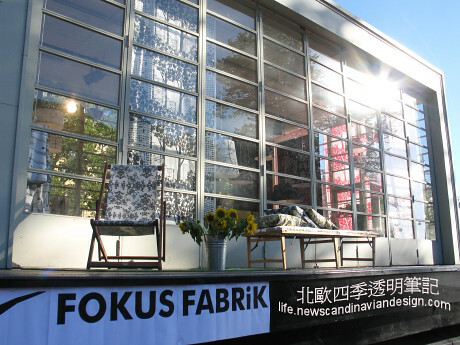 Fokus Fabrik, a young Finnish design team, has decorated the stage in Esplanadi Park into their living and working room for four days and three nights. During this period of time they lived and worked there, exhibiting design fabrics and items to the passers-by.